This classic, best-selling text introduces students to the basic skills required in all aspects of television production, including camera and studio, field equipment and production, and multicamera directing, all while emphasizing the latest production techniques and technology, such as audio workstations, non-linear editing, and HDTV. This text introduces cutting edge developments in the field, while maintaining its name as the reference text for the TV Production course. This is the most current, technically accurate text available and offers the most extensive teaching and learning package. 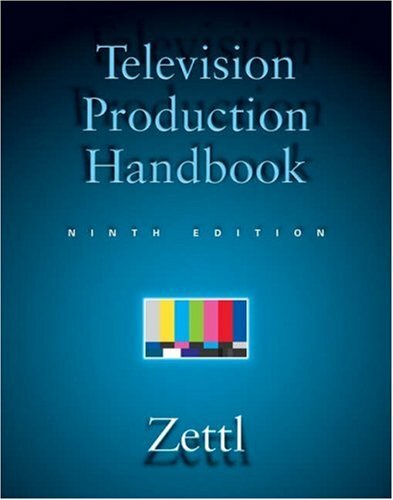 Zettl's TELEVISION PRODUCTION HANDBOOK is the reference text and standard for the course. television profession, he was elected to the prestigious Silver Circle of the National Academy of Television Arts and Sciences (NATAS), Northern California Chapter. He also is a member of the Broadcast Legends of the NATAS, Northern California Chapter. Zettl has authored VIDEO BASICS, VIDEO BASICS WORKBOOK, TELEVISION PRODUCTION HANDBOOK, and SIGHT SOUND MOTION, which are translated into several languages and published internationally. His numerous articles on television production and media aesthetics have appeared in major media journals worldwide. He has lectured extensively on both subjects at universities and professional broadcast institutions both nationally and internationally. Zettl developed an interactive DVD-ROM, ZETTL'S VIDEOLAB 4.0, published by Wadsworth Cengage, a part of Cengage Learning. His previous CD-ROM version won several prestigious awards, among them the Macromedia People's Choice Award, the New Media Invision Gold Medal for Higher Education, and Invision Silver Medals in the categories of Continuing Education and Use of Video.